MDC-Alliance aspiring legislator for Goromonzi West Luke Tamborinyoka, who is facing charges of defacing his rival's posters, has accused the complainant of having an agenda against him because he was fired from the party. Tamborinyoka was recently fired as party and presidential spokesman. Trial in the case in which he is being accused of defacing another candidate's campaign posters started last Thursday. As part of his defence, Tamborinyoka told the court that another MDC Alliance candidate for the constituency, Taurai Nhamburo, the complainant, wanted to tarnish his image. Tamborinyoka said Nhamburo was fired from the party after he forged the signature of the party's national chairperson, Mr Morgan Komichi, so that he could lodge his papers at the Nomination Court. He submitted a letter in court supposedly written by Komichi certifying that Nhamburo was no longer a party member. "Despite my previous communication to you about the official party position regarding the Goromonzi West parliamentary candidature, I also note that you continue to disparage the official candidate with loud hailers across the constituency and that you are holding meetings and pasting posters masquerading as the MDC Alliance parliamentary candidate in contravention of the official party position, which has since been communicated to you," read part of the letter of expulsion purportedly sent to Nhamburo. The letter further stated that the party had since reported Nhamburo at Marondera police station over his conduct, but Nhamburo insisted that he was still the MDC Alliance candidate for the constituency. "It is a lie that I was expelled from the party," he told the court. "I'm still a lawful candidate for the party and the one who wins the elections between us (him and Tamborinyoka) will be the legislator for the constituency." Through his lawyer, Tamborinyoka argued that he was not at the scene of the crime when it was committed, but was busy preparing for elections at in Munyawiri Village in Domboshava. "It is not the duty and or the role of the accused person as an aspiring candidate to be personally present on the ground attending to pasting stickers," Mr Tamborinyoka's lawyer said. "Those are delegated tasks which are ordinarily carried out by party youths." 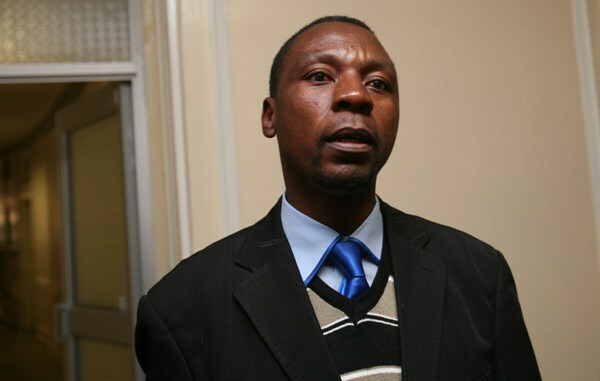 Harare magistrate Mr Francis Mapfumo postponed the trial to tomorrow for continuation. It is the State's case that on June 25, Tamborinyoka and Murima were seen pasting Tamborinyoka's political campaign posters on top of those belonging to Nhamburo.